You may have noticed this is my third pizza-esque post. We love pizza. 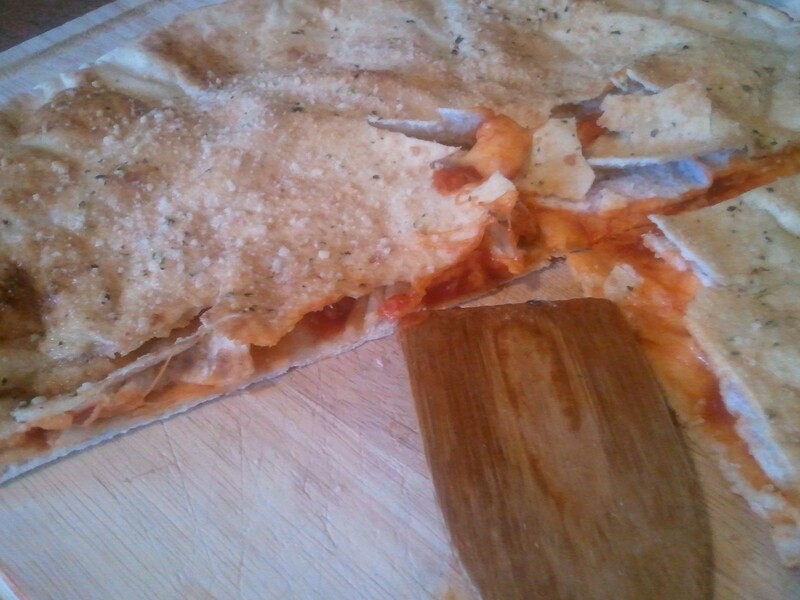 Dough, cheese, yummy sauce…seriously what isn’t to like? However, even the biggest pizza fan can get bored of regular old pizza if they eat it enough. I try to change our pizza dinners up frequently so that we never get sick of any one type. Here is one of my husbands favorites. I’ve seen him eat an entire pizza in one sitting. 1) Pre-heat oven to 350 degrees 2) Spread pizza sauce on both pitas (only on one side) 3) Sprinkle cheese on one of the pitas, then top with any toppings you choose, then sprinkle more cheese on the toppings 4) Place second pita, sauce side down, onto the first pita with all the toppings on it, so it’s like a sandwich 5) Coat the top of the pita masterpiece with your garlic butter and sprinkle with parmesan 6) Bake for 8 minutes or until it’s starting to brown.